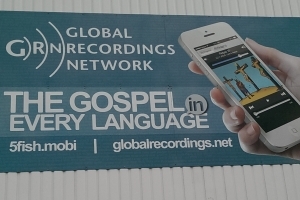 Global Recordings Network treats personal information with the utmost care and discretion. GRN abides by the National Privacy Principles of the Australian Privacy Act 1988, the Australian Privacy Amendment (Enhancing Privacy Protection) Act 2012, the Privacy Amendment (Notifiable Data Breaches) Act 2017, the European General Data Protection Regulation 2016 (GDPR), and any other similar laws in other jurisdictions. This policy may be altered from time to time without notice in response to changes in regulation, community expectations or technology. GRN collects personal information about supporters, volunteers, employees, contractors, users of GRN apps and visitors to GRN websites. GRN collects and stores only the minimum information needed for legal or operational purposes. When you use a GRN website or app we may collect personal information in the form of your IP address, usage history, location and language settings. Any information you include in a comment on a GRN blog may be read, collected, and used by anyone. Our websites may include social media features such as the Facebook Like button or comments. These features may collect information for the social media service such as your IP address and which page you are visiting on our site. Flurry Analytics: Users may elect to opt-out of Flurry's Analytics Service tracking at www.flurry.com/legal-privacy/end-user-opt-out. If an end user opts-out, Flurry will stop tracking data for the device identified by the provided MAC address and/or device identifier going forward. The Analytics Service tracking will stop across all applications within the Flurry network. Google Analytics: Information about how Google uses the data collected by them from our websites and apps can be found at the website "How Google uses data when you use our partners' sites or apps" (located at policies.google.com/technologies/partner-sites or other URL Google may provide from time to time). Our email service providers (ESPs) may use Web Beacons (image files downloaded from a remote server) in the emails they send. Web beacons allow the ESPs to collect information about when you open the email, your IP address, your browser or email client type, and other similar details. we may collect your name, address, telephone number, email and/or other relevant personal information. If you choose not to provide GRN with certain personal information, we may not be able to provide you with particular services or information. For example, GRN will not be able to issue a tax receipt or send you our monthly newsletter if we do not have your contact details. to make sure the functions of our website and apps work properly. GRN will not disclose your personal information to other organisations or individuals, except to fulfil the purpose for which it was collected or as required by law. email service providers of our choice (these may include MailChimp or Constant Contact) for the purpose of sending communications to you on GRN's behalf. GRN does not sell personal information which we collect. GRN may be legally required to disclose personal information to a government body or pursuant to a court order. GRN websites and apps include links to other websites, whose privacy practices may be different from GRN's. If you submit personal information to any of those sites, your information is governed by their privacy policies. GRN will take all reasonable steps to keep personal information secure, and keep it accurate and up to date. This includes complying with any laws which cover security of payment card information. Affiliate organisations and service providers which use or store personal information from GRN may be located within the country where the personal information is collected or may be in another country. In any case GRN will take reasonable steps to ensure those organisations handle this personal information in a way which is consistent with this policy. GRN will endeavour to ensure that GRN's agreements with service providers include appropriate privacy and confidentiality obligations. GRN will anonymise personal information wherever practical, and destroy personal information once there is no further need for it. You have the right to obtain access to any personal information which GRN holds about you and to advise GRN of any perceived inaccuracies. You can access your information by making a written request to GRN. GRN will endeavour to provide you with the information you have requested, unless providing such access would infringe another person's privacy. When you request access, GRN will ask you to provide some form of identification (such as a driver's licence or passport) to ensure that you are the person to whom the information relates. Every effort is made to ensure personal information is accurate and up to date. If you believe that any personal information which GRN holds about you is incorrect or out of date, please contact GRN and we will correct or update it. You may request that GRN permanently delete any personal information held about you. GRN will comply with this request within a reasonable time, unless we need to keep it for legal, auditing or internal risk management reasons. If you wish to raise questions or concerns about this policy or how GRN is handling your personal information, or make a formal complaint, please contact the GRN Privacy Officer. We will respond to your query, or investigate your complaint and notify you of the outcome, as soon as practicable. If GRN becomes aware of any ongoing concerns or problems concerning GRN's privacy practices, we will take these issues seriously and work to address these concerns.